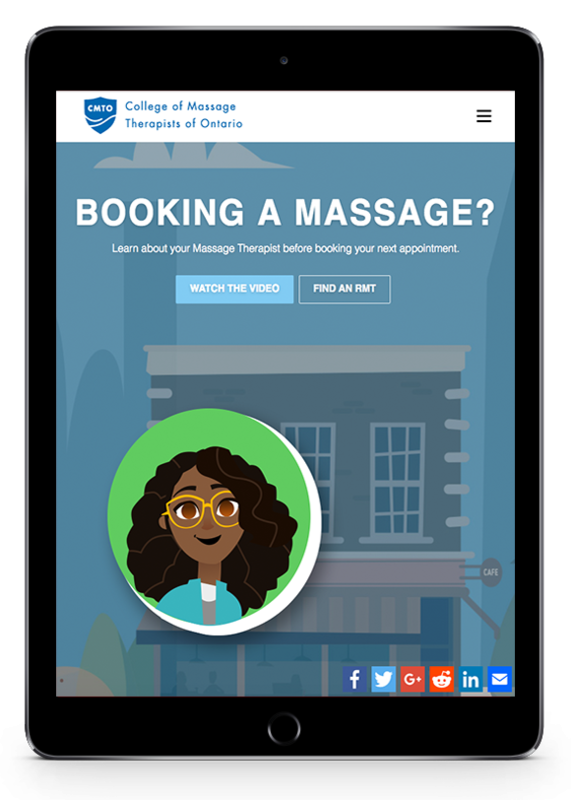 To increase public awareness of CMTO’s mandate of protecting the public interest and encourage Ontarians to look up reliable information about their massage therapist on their public register before scheduling an appointment. Fifth Story created assets for CMTO’s “Look Before You Book” campaign, which consisted of an animated video and microsite to help inform and educate the public. We ensured the “Look Before You Book” microsite integrated easily into CMTO’s homepage and appealed to a diverse audience.